Hello everyone! 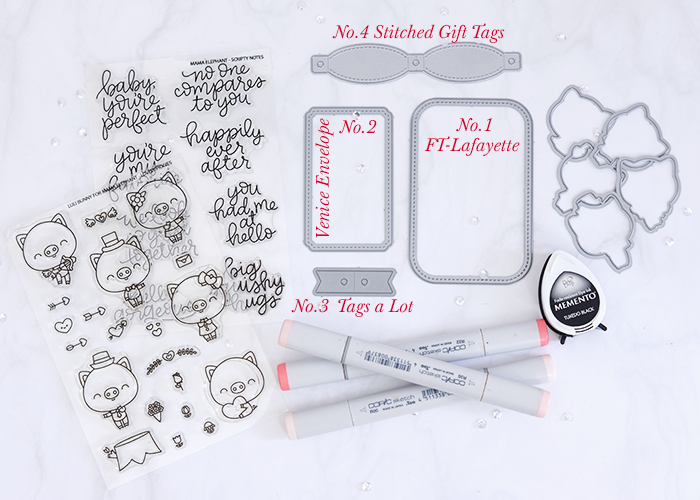 It's Vera on the blog today to share fun idea using Scripty Notes, a fun hand-lettered sentiment set designed by Kryssi! 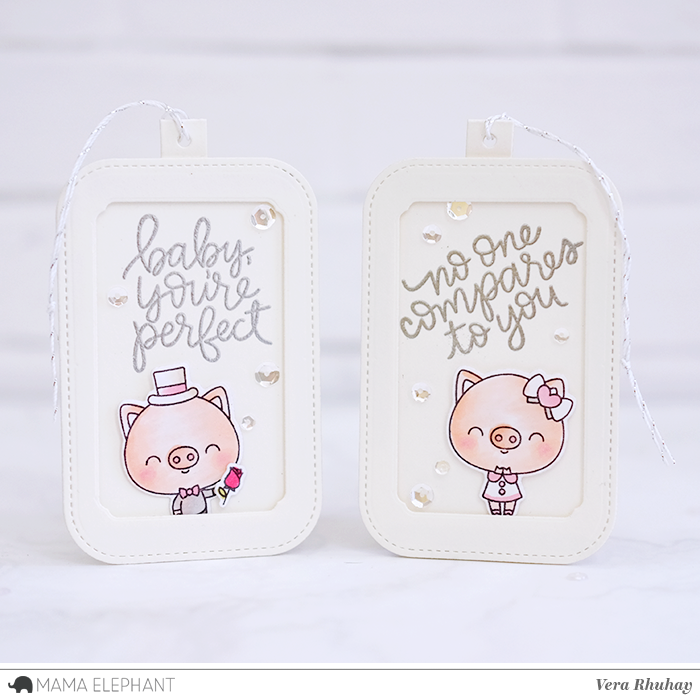 Her handwriting is so beautiful and it pairs nicely with the sweet images from Luli Bunny's Lovely Piggies set! 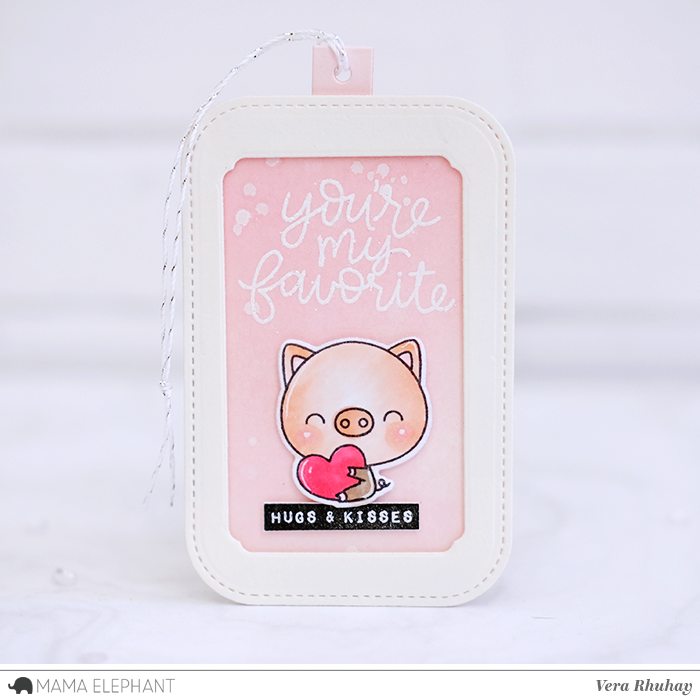 I started by stamping the Lovely Piggies on Bristol paper, colored with Copics and die cut with Lovely Piggies - Creative Cuts. 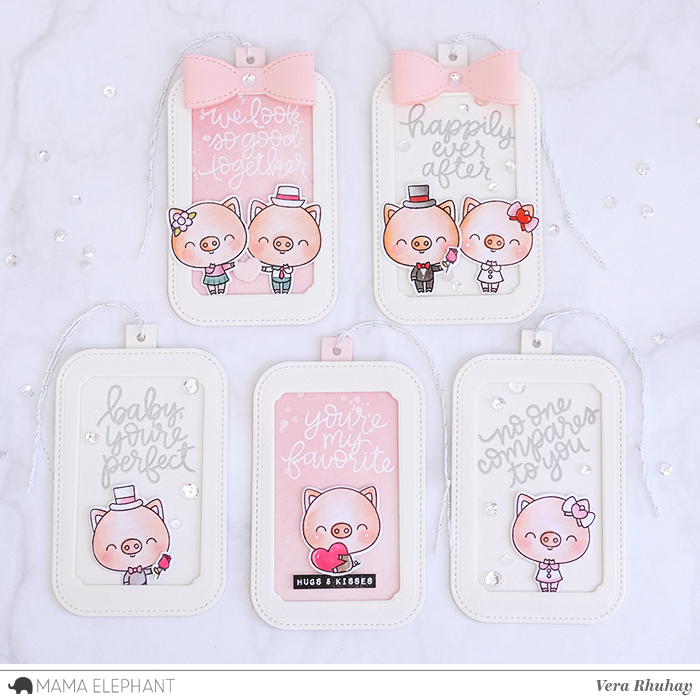 I made the tags by mixed and matched some dies as shown in the supplies picture below. I die cut two piece rounded frame from Frame Tags - Lafayette - Creative Cuts (No.1), one for the tag based and the other one, I die cut again with a part dies from Venice Envelope - Creative Cuts (No.2). I used hole reinforcement from Tags a Lot - Creative Cuts (No.3) for placing the twine and bow from Stitched Gift Tags - Creative Cuts (No.4) for additional accessories on tags. On the left, I blended the based tag with dye ink pad and splatter with white paint then white heat embossed the sentiment. 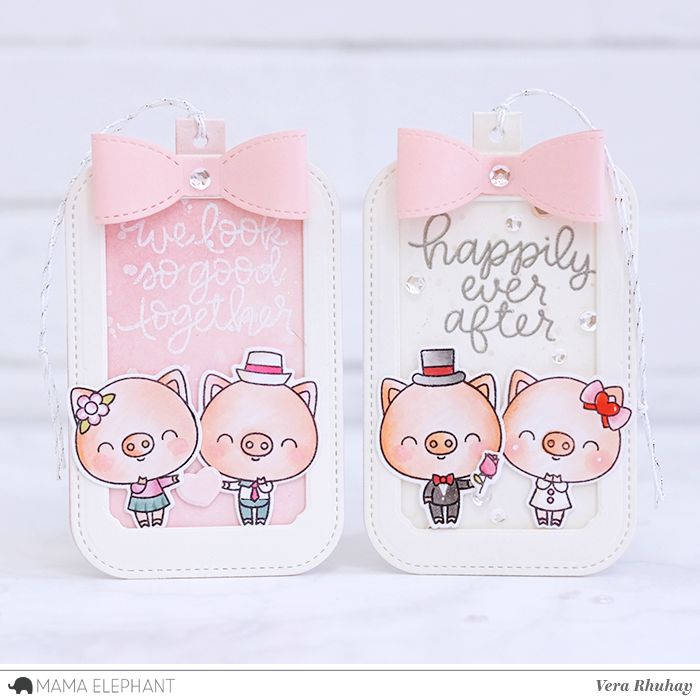 On the right, I just simply heat embossed the sentiment with silver embossing powder, decorate with pink bow on top and added here and there some sparkling clear sequins. How adorable! Lovely tags, thank you for sharing!